Many aspects of a company's performance affect its brand value. Marketing spend, distribution strength, and product quality all have proven effects. This study indicates that a company's perceived sustainability performance may be another important factor. 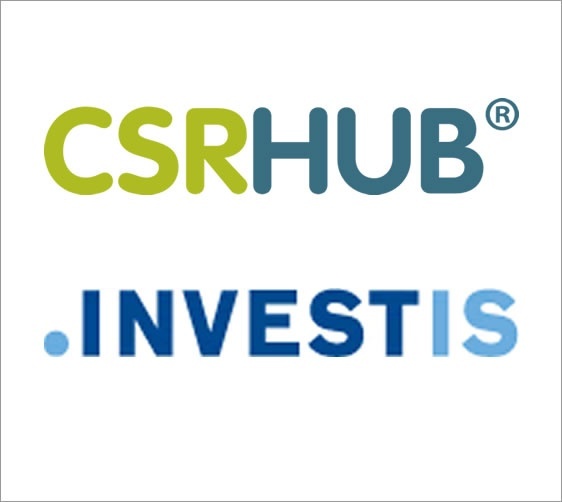 CSRHub recently examined corporate social responsibility (CSR) and sustainability rating data for the 18,991 companies in fourteen major stock exchanges. Are Family Firms Really More Socially Responsible? What conditions act as cataysts in the relationship between firm type and corporate social responsibility (CSR)? 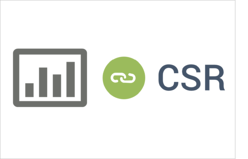 What is the relationship between a set of corporate social responsibility factors from the CSRHub database and data on the cost of corporate debt from the Bloomberg database? “Dark Matter” is a still undefined type of matter that seems to bind together galaxies. We have coined the phrase “Dark Data,” to describe information on corporate sustainability that exists, but cannot normally be seen and evaluated. Dark Data is exchanged privately as part of supply chain, certification, and regulatory interactions. As such, it forms an important part of how companies interact with their environment. 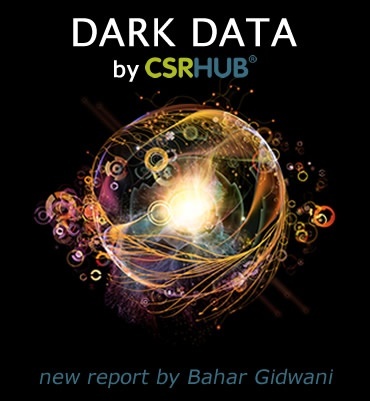 What are the types of dark sustainability data and 5 future trends? 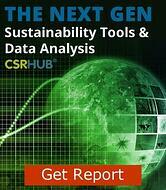 Do Data Management Tools Improve Perceived Sustainability Performance? Many companies use manual systems to collect data on and manage their sustainability programs. However, a growing number are using software tools that were professionally-developed for this purpose. 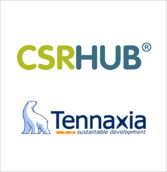 In this report, CSRHub partnered with French software company Tennaxia, to study the perceived sustainability performance for fourteen of its customers. Does CSR Performance Affect the Quality of Digital Communications? Is a company that has a strong corporate social responsibility (CSR) reputation more likely to be a better user of digital media? Are its web sites and other digital communications more useful and have better content? This study combined CSRHub data on perceived CSR performance and RepRisk data on the level of ESG-related reputational risk exposure for more than 4,000 companies from around the world. 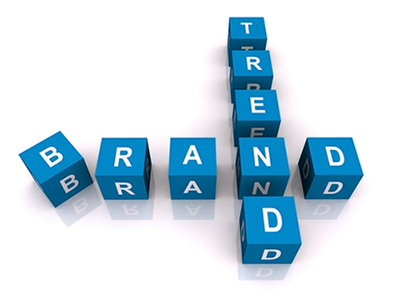 Brand Finance reviews the brand strength and value of thousands of companies. Its rankings shift and change as companies compete to build their brands. Continued research by Brand Strength and CSRHub. Green Bond buyers may expect the entities who originate Green Bonds to have better social and sustainability behavior than entities who do not. This study tests this assumption by examining the perceived social performance of a set of Thomson Reuters-tracked Green Bond issuers, using CSRHub data on perceived social responsibility performance. 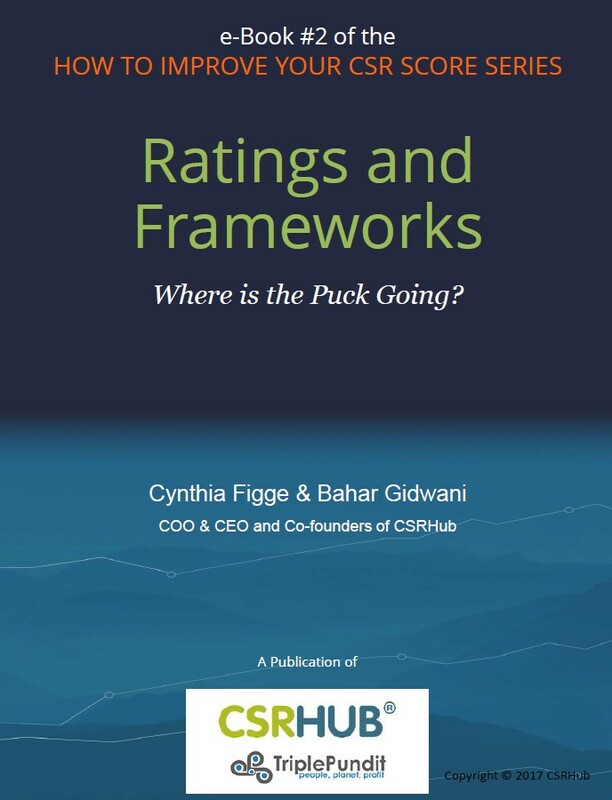 Wayne Gretsky, the well-known hockey player said, “I skate to where the puck is going to be, not where it has been.” As the CSR/ESG/Sustainability disclosure landscape changes, where is the puck going? 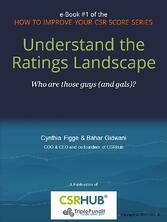 Learn more and how it impacts ratings and rankings in the new e-Book. We are seeing a rising wave of change as we transition from our current metrics systems to a second generation. How can we transition our companies towards a disclosure landscape that is less confusing, more consistent, and more empowering? How can we greatly expand the coverage of companies that disclose? 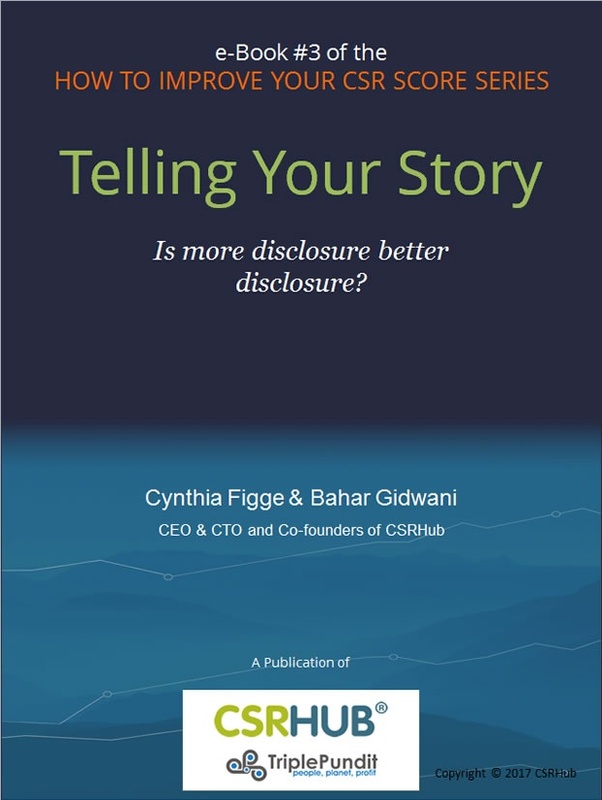 How often to disclose? Which frameworks? Learn more and how it impacts ratings and rankings in the new e-Book. 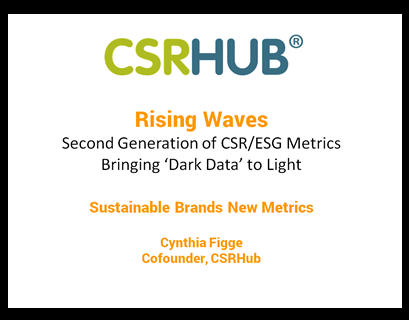 CSRHub and Brand Finance conducted a broad, multi-year study that shows the connection between sustainability performance and brand value has increased dramatically. 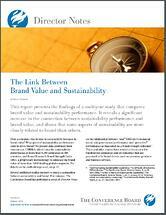 The study has also revealed that some aspects of sustainability are more closely related to brand, than others. A second generation of more rigorously defined sustainability metrics is being developed. Implementing these new standards will require new tools and methods of data analysis. In the movie Butch Cassidy and the Sundance Kid, as the outlaws are relentlessly pursued by the sheriff and his posse, Paul Newman (Butch) occasionally stops to ask, “Who are those guys?” The ratings landscape may feel like this – unknown sources that doggedly track you down. The ratings landscape can be confusing and seem unfair—unless you happen to be out in front. Know your raters and your competitors raters. Who are they? Why do Some Companies Revise Their Carbon Disclosures? A high percentage (>50%) of the world's 5,000 largest companies are currently disclosing data on their carbon profile. However, a surprisingly large number of companies revise their disclosures each year. This CSRHub report sought to discover the source of these revisions.